Eight Henderson County Investigators working for Sheriff Botie Hillhouse arrested a pair of thieves with drugs Monday in Larue after an Athens home was burglarized. Dayna Edwards, 34, of Larue was arrested at her home in the 7800 block of County Road 4713. Kelly Clark, 33, was also arrested at the residence. 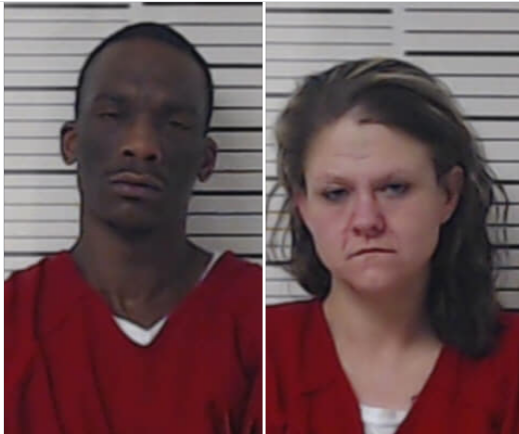 Both were caught with items reported stolen from a home in the 2200 block of Crystal Drive in Athens. During the arrests, Hillhouse’s Investigators also discovered methamphetamines, scales commonly used to sell and distribute the drug and marijuana, so both suspects were charged with Possession of a Controlled Substance. Edwards was also charged with Theft. Edward was first arrested three days earlier at 9 a.m. while the burglary of an Athens home was in progress. When Hillhouse’s Investigators Tell Walker and Cynthia Clements went to Edward’s residence Monday, they were allowed inside by a relative, and they spotted stolen items from another Athens residence. A subsequent probable cause search warrant signed by 392nd District Judge Scott McKee triggered the eight-member Sheriff’s team to return to the home where they found Edward, Clark, the stolen items and drugs. Both suspects were taken to the Henderson County Jail.